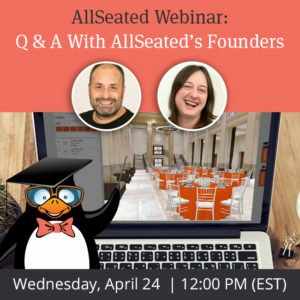 Wedding couples often get their design trends inspiration from the latest information they see on blogs, Pinterest and the world around them. With that inspiration, they use it in their own unique way to create new and progressive ideas that move trends forward. 2017 is promising to be an exciting year full of cutting-edge trends just starting to make their mark and old favorites that seem to never go out of style. Luxury is king these days with opulent color schemes proving to be a popular choice such as metallics like gold and silver to gemstones like emerald and ruby. Candles are another must-have in the world of luxury to create a rich and romantic feeling. Couples are shying away from tradition these days by choosing to mismatch things like bridesmaid dresses, stationery, and centerpieces. This helps create a surprise and delight element to the event which is something that guests will love and remember for years to come. If having too many different colors isn’t appealing, think about choosing a few favorite colors and using five or six shades of them to add depth and richness. 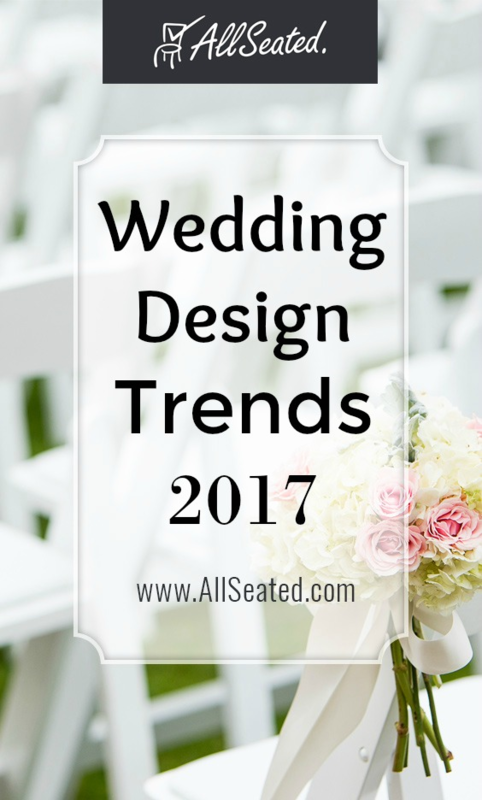 The 21st century has more than arrived, and couples are increasingly building it into their wedding design each year. 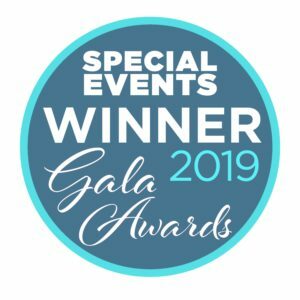 Things like projecting the couple’s monogram on the walls or dance floor have been around for years, and big projection screens on the ceilings or walls of tents that showcase a slide show of the couple are quickly becoming the new normal. Social media has even started making their mark in the design world with hashtag printers and state-of-the-art photo booths that allow guests to post video and photos to Instagram immediately are gaining in popularity. Couples adore this fun and unique wedding style, with décor details like paper flowers, colorful and funky dessert tables, and stunning backdrops. This trend is a DIY couple’s dream with personalization being the key to this design. These trends will set the stage for what couples in 2017 will use as inspiration in their own weddings, and we can’t wait to see what new ideas they will bring! 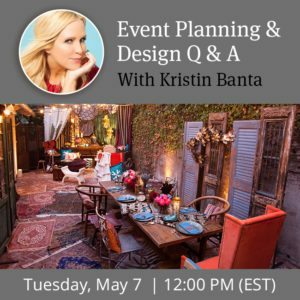 Kim Sayatovic is the Founder and Chief Creative Officer of Belladeux Event Design, a full service wedding and event design firm based in New Orleans, Louisiana.